Ubuntu MATE 15.04 is the first edition of linux distribution based on ubuntu as an official member of the Ubuntu flavors. 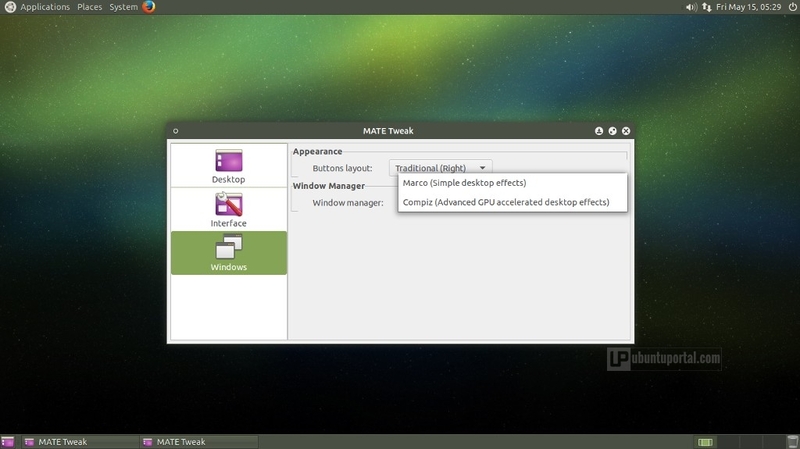 This release Ubuntu MATE developer include MATE desktop 1.8.2 as main desktop environment and powered by kernel 3.19. One of the most interesting changes in Ubuntu MATE 15.04 is MATE Tweak, it included by default and comes with new features. 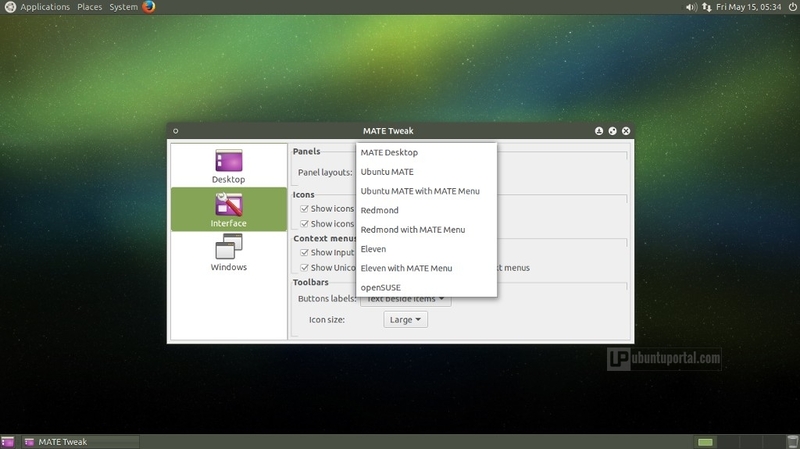 This apps allows Ubuntu MATE user to switch between various panel layouts, including: Ubuntu MATE (default), MATE Desktop, Eleven (with a top panel for the menu, systray, etc. and Plank at the bottom, as the app switcher/launcher), Redmond style, Ubuntu MATE with MATE menu, Eleven with MATE menu, and OpenSUSE. From the same Ubuntu Tweak option Ubuntu MATE user can also change from the regular Marco window manager to the more advanced Compiz, which also comes with some cool User Interface effects, and there is no need to reboot or log off. Folder Color include by defaut in Caja file manager. 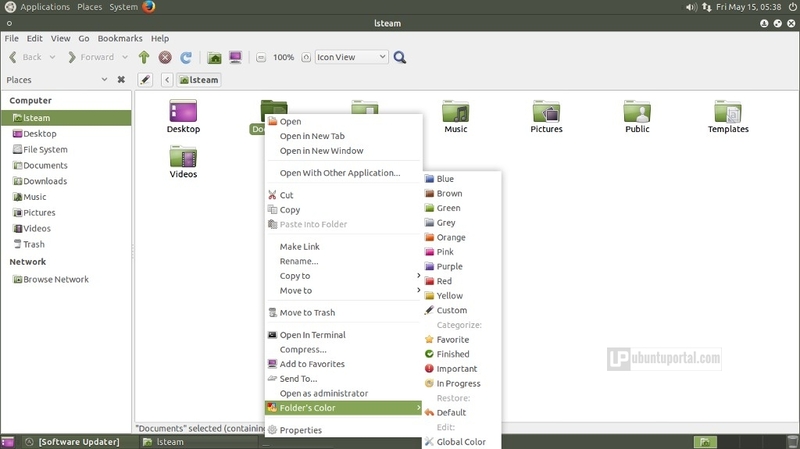 Folder Color is a Caja (it also supports for Nemo and Nautilus File Manager) extension which allows changing individual folder colors (useful for organizing your folders, make some important folder stand out, etc. ), as well as change all the the folder colors or add emblems. 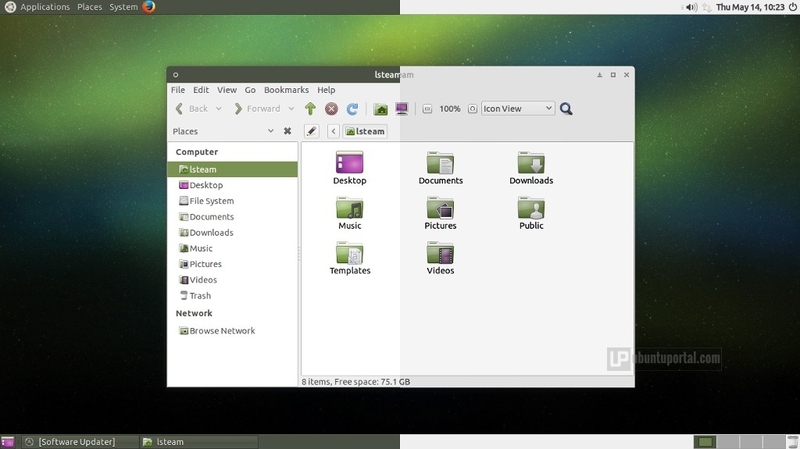 Ubuntu MATE 15.04 has own new default theme, called yuyo and yuyo dark. The new community wallpaper provide for Ubuntu MATE also added by default. The drop-down terminal Tilda was added by default for Ubuntu MATE 15.04, Also include the LightDM GTK+ Greeter Settings, a tool which allows modifying various login screen settings such as the theme, font, background and much more. New applications replace old ones in Ubuntu MATE 15.04, such as : Totem Video Player has been replaced with VLC Media Player, GNOME’s Cheese webcam viewer was replaced with guvcview, and systemd has been implemented to replace the Upstart init system. Default applications included in Ubuntu MATE 15.04 are Firefox 37 as web browser, Thunderbird 31.6.0 as email client, LibreOffice 4.4.2 as Office suite, Transmission 2.84 as torrent client, Shotwell 0.20.2 as Photo Manager, Rhythmbox 3.1 as Music Manager, VLC as default video player, Pidgin 2.10.9 as Internet Messenger, Brasero 3.12 as CD/DVD burner, Deja Dup 32 and HexChat 2.10.1, as well as the MATE 1.8.x core apps like Caja (file manager), Pluma (text editor) etc.